Premiered by Patrick Yim in Hong Kong History Museum, 28 January, 2018. Perform by Patrick Yim and Austin Yip in Playhouse, Abrons Art Center, New York, 18 July, 2018 during New York City Electroacoustic Music Festival. Perform by Patrick Yim on 21 September, 2018 in Sheung Wan Civic Centre Theatre, Hong Kong. 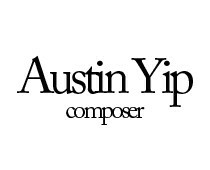 Performed by Patrick Yim on 30 September, 2018 in Jayu Theater, Seoul, Korea during Seoul International Computer Music Festival 2018. Performed by Patrick Yim on 19 October, 2018 at Hong Kong Baptist University. Performed by Patrick Yim on 1 December, 2018 at Tai Kwun, Hong Kong. Performed by Patrick Yim on 7 January, 2019 at Y-Studio, Youth Square, Chai Wan, Hong Kong during Toolbox International Creative Academy Opening Concert. “Miles Upon Miles” is inspired by an exhibition held at the Hong Kong Museum of History of the same title. The exhibition showcases artefacts discovered along the Routes Network of Chang’an-Tianshan Corridor of the Silk Road, including the North-Western side of China, Kyrgyzstan and Kazakhstan. The three movements, entitled “I. Gilt Bronze”, “II. Cameleer”, and “III. Sancai”, refer to the features of artefacts in this exhibition. “Gilt Bronze” refers to the materials used for a silkworm of the Han dyasty; “Cameleer” refers to a painting of a Tang dynasty cameleer, and “Sancai” refers to the colours that were used during the Tang Dynasty. This work is written for amplified violin and electronics. Field recordings of the Xinjiang Uyghur Muqam, taken in Xinjiang 2015, is operated through granular synthesis and serve as an extra dimension to the work. “Miles Upon Miles” is commissioned by violinist Patrick Yim in 2018. Patrick Yim’s notes on Miles Upon Miles, see here.